This article is in honor of Diabetes Alert Day to address the challenges those managing diabetes today face – and the opportunities we have to help prevent diagnosis and prevent exacerbation of the condition and its symptoms. When I was first diagnosed with diabetes, I thought I could beat the disease. However, this new development in my health proved to be much more significant than I expected: I was gaining weight, losing energy quickly, and developed heart problems and other health issues as a result. I have since learned that the best course of action is to focus on managing my total health – including my diabetes – with the guidance of my care team and by taking my own initiative with guidance from my health data. Over time, diabetes can have a deteriorating effect on your health which can lead to kidney disease, blindness, heart disease, and more. Without a focus on your daily behavior, these issues can develop and can impact more parts of your daily life than you could imagine. Managing diabetes means being willing to take a leap of faith toward better health. For me, my leap of faith came with a single step. I decided to take a walk around a local community college track on a cold winter morning. I made it around the track twice before I had to stop due to the overwhelming fatigue I felt. After skipping a couple of days, I regained the motivation to try again. Soon enough, the walk was not too hard. The next day I decided to listen to some music on my smartphone that made the walk even easier. Before I knew it, I could get through my walk before completing one of Stevie Wonder’s albums. After a few weeks of walking, I got curious about how long my walks had gotten. I looked for an app that would track my steps and soon learned that I had a tool in my tool box: MapMyWalk. Easily enough, the distance tracker and step counter lived inside my phone as well, right alongside the music I walked to. But, what I had learned was that the most first and most important tool in my toolbox was the leap of faith I took to make the changes toward better health. Since then, it became clear that there are many tools already in existence to support my mission after I took the leap. I find that using an activity tracker to measure, log and review my activities while exercising keeps me on target with my daily exercise goals. 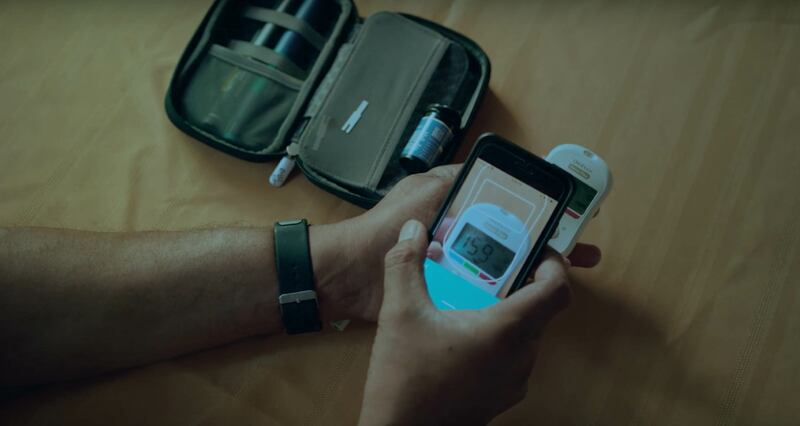 Whether using a Fitbit, Apple Watch, or something as simple as an off-the-shelf pedometer, this data is valuable in tracking progress with your diabetes. As a result of tracking my exercise alongside my blood glucose, I now use less insulin and have lower blood pressure. And, as a bonus, I have lost weight. As for keeping track of my blood glucose, for years I used a meter that most diabetics use, and I would prick my finger, causing pain and leaving my skin deeply callused. One day, my endocrinologist recommended a continuous glucose monitor (CGM). My CGM collected my data and I shared it with my care team to help guide me to better health. Because the CGM is calculating this data every five minutes, I can see if I am rising or falling. This data allows me to make better more informed choices in my exercise and food choices which affects my overall wellbeing. I soon realized I needed to take another leap of faith in the next venture toward good health: a lifestyle change in my relationship with food. But how would I determine which foods had healthy levels of sugar and carbs with no history of knowing how to do this? I connected with a diabetic nutritionist and she taught me how to read and decode the nutrition labels on foods at the store. For foods without this nutrition label, like fruits and vegetables, there are pre-set standards to go by. The best solution for me was an app that could tell me how much sugar and carbs are in any foods. There are several apps that can provide this data. I personally use Apple Health and MyFitnessPal. MyFitnessPal in particular can track your fitness, food intake, calories, carbs and more. Consumer health tools are making healthy choices easier: this app offers a barcode scanner that will bring up most foods I buy at the store and has a database for food on the menu in many restaurants. What’s more, these apps and wearables can give this information meaning: it tells me how my activity, combined with my meals, can compare to the short-term and long-term goals I set for myself. There are several other apps that help me understand health and my conditions, allowing me to have a more healthy and happy lifestyle. As a result of using these tools and more, I have lowered my A1c by two points, lowered my blood pressure to a safe level, increased my energy level, learned how to incorporate healthy exercise into my routine, and lose more than 50 pounds. However, the most important and first tool that I used was the tool of the leap of faith in myself. I used the other tools – my phone, my fitness tracker, my CGM, and more – to support me in this leap of faith and help me maintain my motivation to improve. Diabetes can be all-encompassing if you let it. It can affect your lifestyle, your health, and your overall quality of life. But, the tools available to use today – many of which are easily accessible on the phones and smartwatches we use constantly – can help to encourage better decision-making that leads to a healthier lifestyle. I incorporated these tools and was able to improve my health, lower my risk for further complications, and live a happier, more fulfilling life. As the number of people in the U.S. with diabetes continues to grow, we must all take advantage of the tools in our toolkit to help us prevent poorer health outcomes. These tools are critical in the way that we look at preventing diseases, managing existing conditions, and improving health. Take the leap of faith: a better self is waiting for you.